Tribuz Interiors are a renowned Interior designer, dedicated to offering quality services to the customer. Tribuz Interiors are a result of continuing endeavor of Tribuz Town, a renowned name in the world of real estate. We understand your need and fulfills your dream into reality. Tribuz Town is a one stop shop to render to all your needs related to interior decoration and designing. Our solutions are the exemplar of quality and excellence. We are a brand name committed to offer advanced interior solutions with a glare of fashion and recent trends. Our team of professionals is always there at your service. 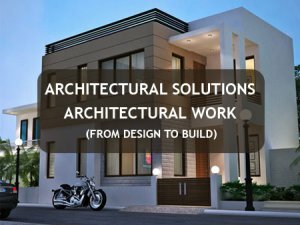 Our innovative and experienced designers have been part of the several projects and have proven their ability in every project they have been a part of. We have segregated our company in two divisions that are managed by different team leaders. Both the groups have different team leaders and are appointed to look after home interiors and office interiors independently. We specializes in space planning and have access to the latest Auto cad software and 3D studio to create the best designs by making the best use of space management skills that is one of the most important factors for the creation of the intelligent design plan. Be it Indian or imported, we are associated with the vendors who supply us with the latest and finest materials both in Indian as well as imported variations.